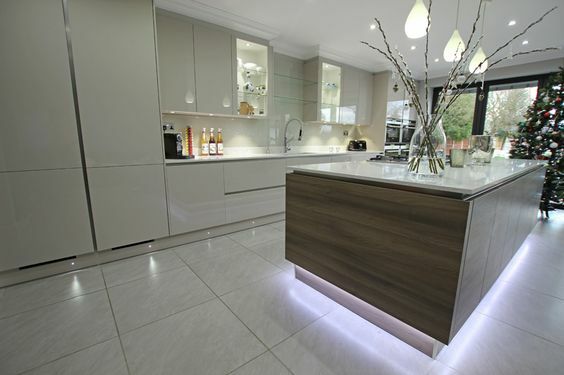 A well planned lighting scheme will transform your kitchen into something quite spectacular. Here are our tips to get it right! 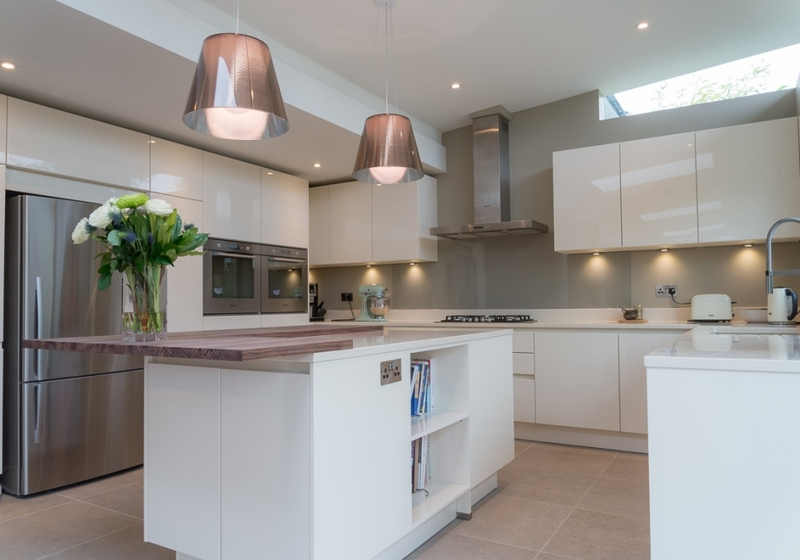 If your kitchen is open plan you can define the different living zones by the lighting scheme. Spotlights in the kitchen area make the space feel bright, but also consider having cabinet lights which you can have on in the evening to create a softer look. Pendants are ideal to make the dining area feel more formal and create a separate zone. In the living space, have plenty of lamps which will create a relaxing atmosphere in the evening. 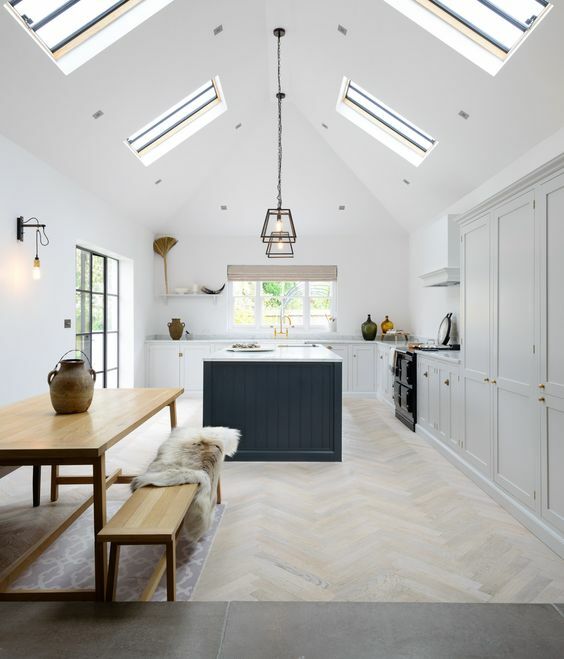 We love the lighting in the kitchen below by deVOL kitchens. The simple lighting on the walls, mixed with plenty of spotlights and the pendants is effective without being over the top. Old lighting schemes tend to have all of the lights on one circuit which can be restrictive to give your kitchen atmosphere. Plan spotlights on 2-3 circuits so that you don’t need to light up the whole living space at once. Make sure the switches are cleverly positioned about the room for convenience. We adore pendant lights as they make a great feature over an island, peninsula or dining area. However, it's so important that you get the placement and proportions right for your kitchen and you make sure that you have clear line of sight under them. 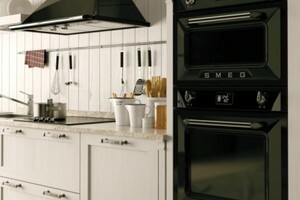 Don’t over-clutter the space and don’t put them next to an extractor fan either! These large pendants work well in the kitchen below as they are spaced far apart and are well above eye level. LED spotlights are a great addition to modern kitchens, so make sure you include enough in your scheme. The rule of thumb is 1 spotlight per metre², which should be spaced 1 metre apart and start half a metre from the wall. Remember that the lighting doesn't need to be contained to the ceilings and can be effective around and inside the cabinets. 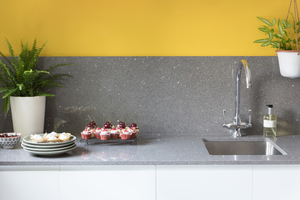 LED strips under the worktops are also very popular and look great in ultra modern kitchens, as are lights along the plinths. Lighting around the units can look effective in the evening when you have the rest of the lighting switched off. 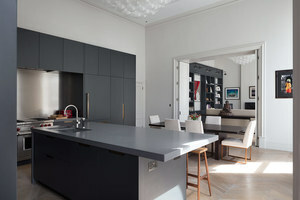 The modern lighting on the plinths of this island unit below works well in a contemporary kitchen.